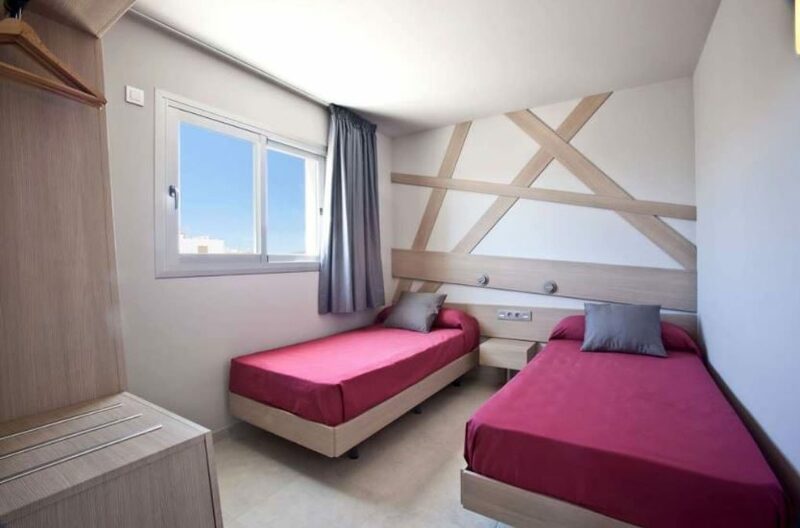 Ryan Ibiza Apartments are what lively holidays in Ibiza are all about. 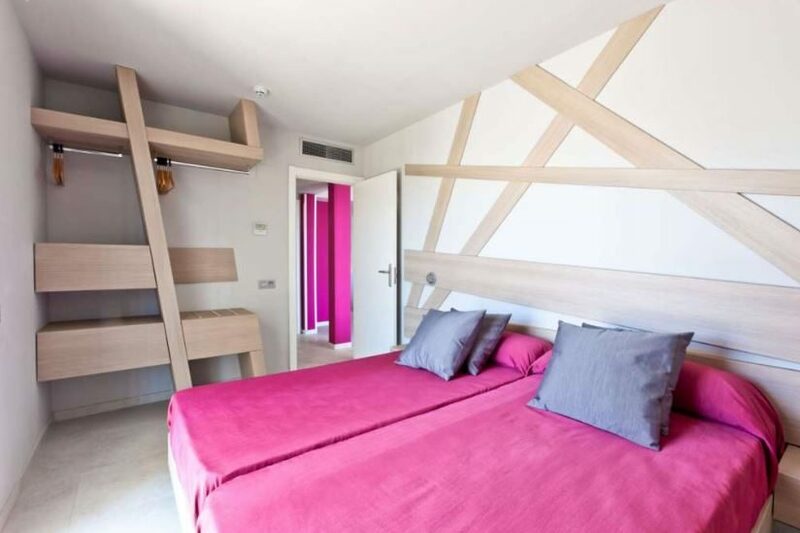 This adult-only holiday complex in Figuertas, lies on the outskirts of Ibiza Town with the famous nightlife of Playa den Bossa just a stone's throw away. 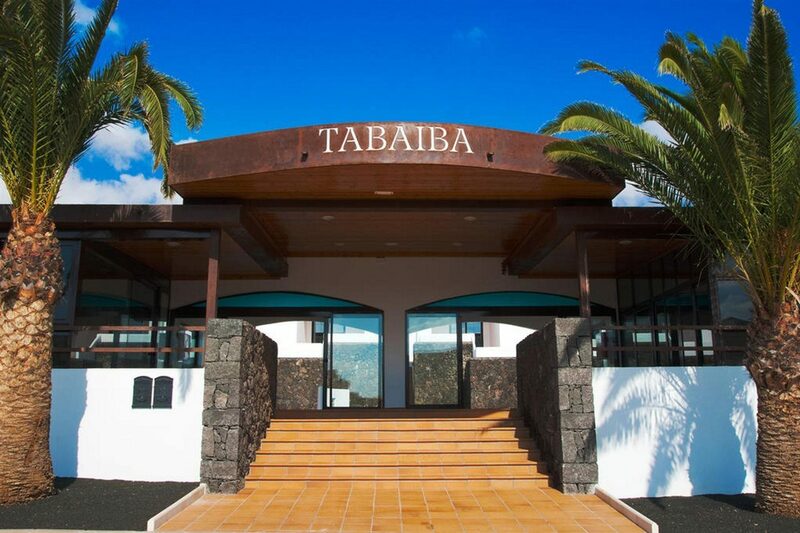 You can enjoy an impressive list of facilities, stylish accommodation, and a bustling day and night time scene. Because of its size, it comes with all the trimmings, cue lively bars, plenty of activities and a lively entertainment scene. Soak up the sun beside the large pool area, home to live music, big screen sporting events and sparkling entertainment. The rooftop chill-out terrace is the perfect spot to relax and work on your tan. Design wise, things are real contemporary. The rooms feature bright colours, modern furniture and a fully-equipped kitchen. Air-conditioning, Wi-Fi, and a spacious lounge area add to your chilled afternoons. A well-fitted bathroom and personal balcony complete the picture. The Irish pub is the heartbeat of this place and offers a wide menu of food and drink. 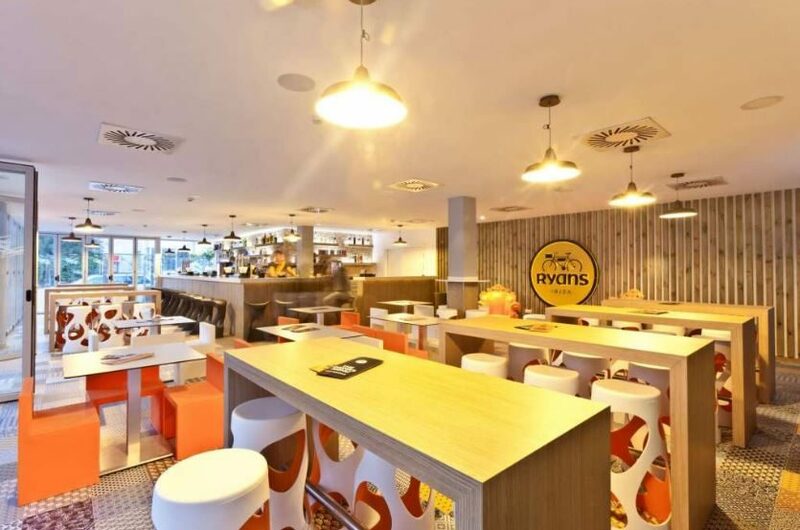 Start the day in style with a full Irish breakfast or enjoy light continental fare. Light bites are on the served throughout the day; while the barman is happy to freshly-brew your favourite coffee or mix you up a fruity cocktail. 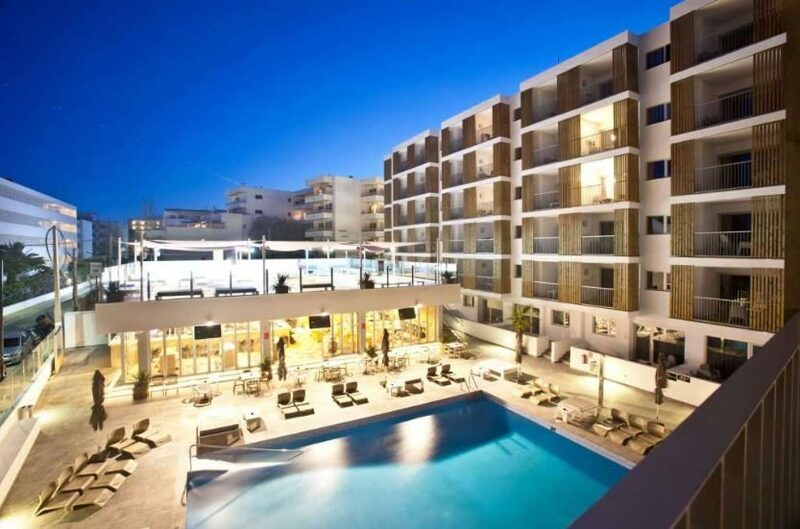 The facilities at Ryans Ibiza Apartments include: an outdoor swimming pool with sunbeds, parasols, lounge beds and towel service, Irish pub with restaurant, complimentary Wi-Fi connection in public areas, and public parking available close by. 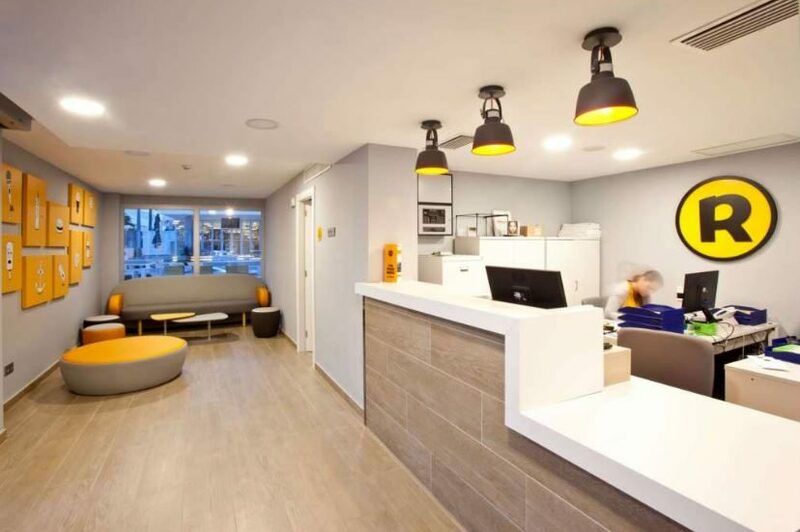 The 24-hour reception offers a ticket service, courtesy rooms, and luggage storage. 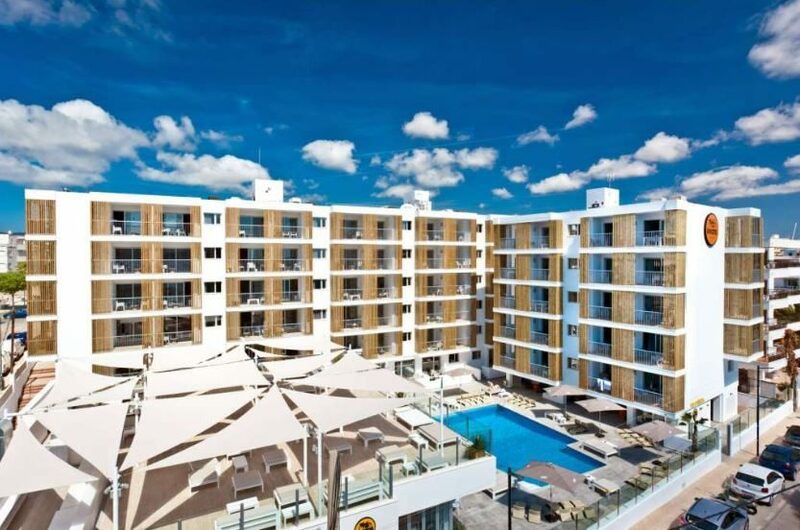 This Ibiza aparthotel has a total of 77 modern apartments, consisting of one, two, and three bedroom apartments. 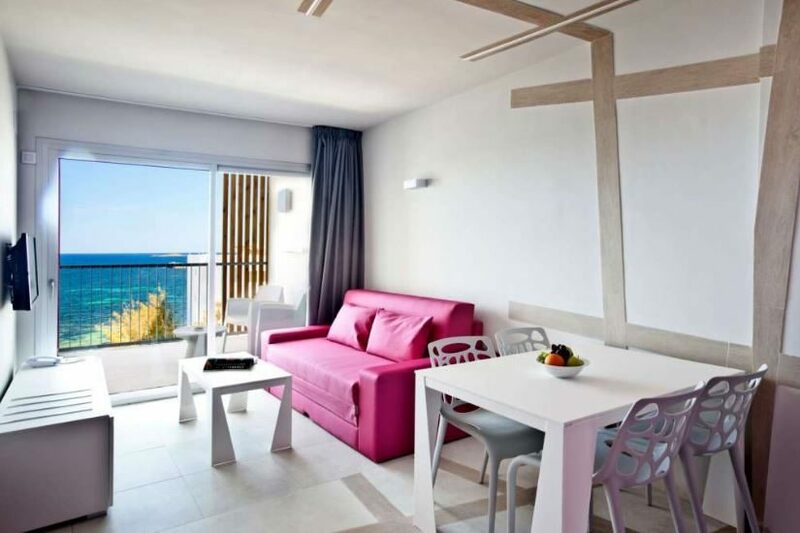 All apartments feature a balcony, air-conditioning, complimentary Wi-Fi connection, bathroom with walk-in shower and hairdryer, lounge with satellite flat-screen TV, radio, sofa bed, safety deposit box, dining and seating area. The kitchenette has a kettle, microwave, stove, and tableware. Ryans Irish Pub is a combination of pub, beach club, roof-top chill-out terrace, and pool bar. The pub is open from early until late offering live music, DJs, big screen sports events and entertainment; along with snacks, drinks, and continental and full Irish breakfasts.